After made the Valentine Tote Bag, I decided to make a bag for my Thai course’s teacher. After browsing for a while, I found this pattern on Daphne Mah’s site. 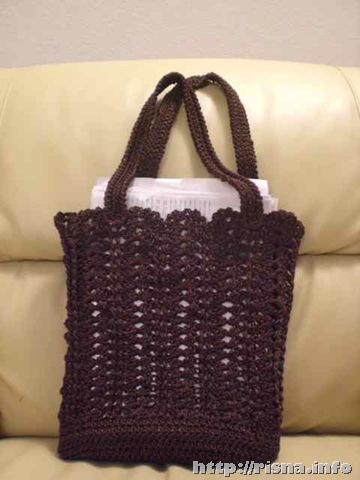 It took me about 2 days to made the bag, and today I gave the bag to my teacher. She know I can do crochet, and she is very happy to receive the bag. Well, when she is very happy, you know that I more than very happy. It’s always a pleasure to make someone happy. This pattern is very easy to follow. 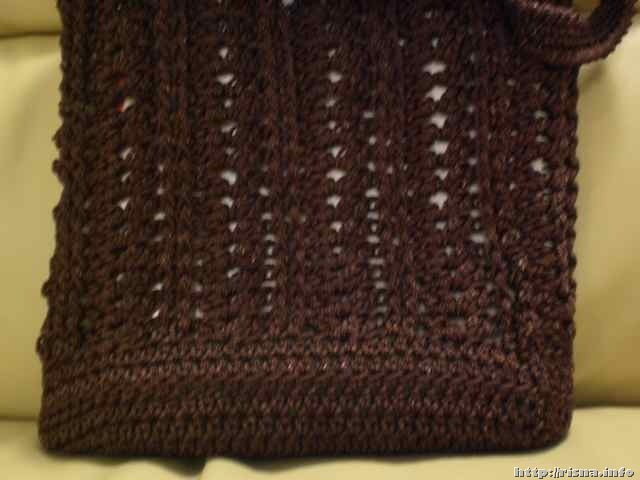 It just use shell stitch with FPDC in between another shell stitch. I learned 1 new stitch while making this bag. 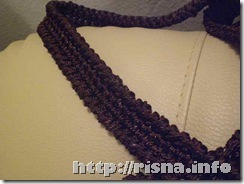 It’s called reversed single crochet. 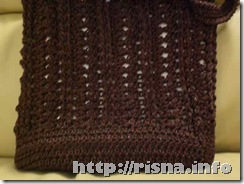 Daphne’s picture tutorial helped me to understand this stitch. The reversed stitch made the handle looks nice. I upload the close up picture of the handle and the body here. As usual, I modified the pattern a little bit. I added more row for the base and more row for the body, so it would be big enough to bring paper size A4. 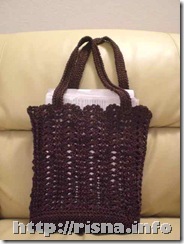 I made this bag using some kind of rope yarn that I found in the local store here in Chiang Mai and using hook number 7. Are you based in Chiang Mai?? I love this bag. I would like to take up crocheting. Based now in Chiang Mai. Where in Chiang Mai can I get supplies do you know?